Good morning and Happy Monday! I know it’s been a while since I posted last, but I fully blame summer and the wonderful weather we’ve been having… it’s definitely not my fault! Now that I am getting back into somewhat of a more normal and regimented schedule, I want to get back to posting on Rocking Motherhood Mondays! 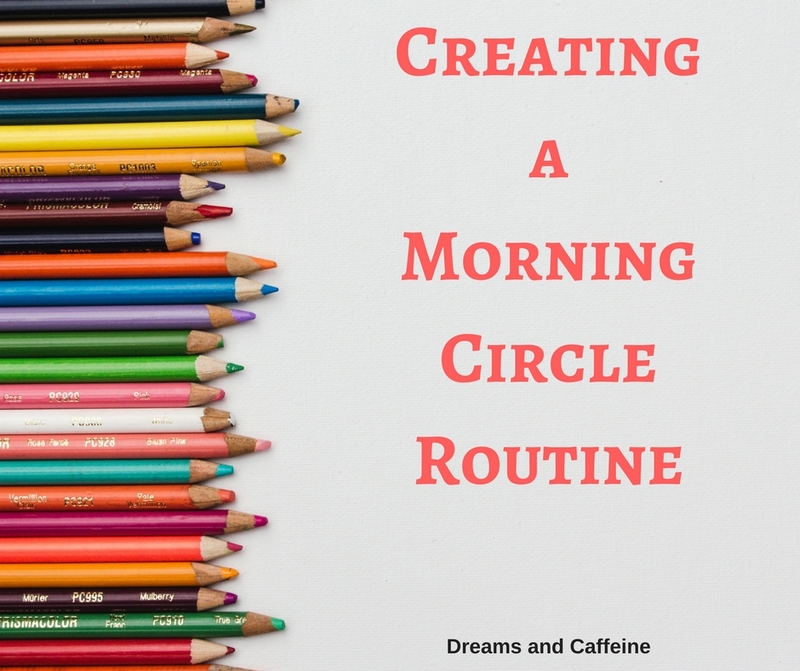 Today, I want to discuss the basics of a Morning Circle Routine and how to create your own for your home. If you don’t want a large morning circle for your space, please check out these blogs for additional versions. 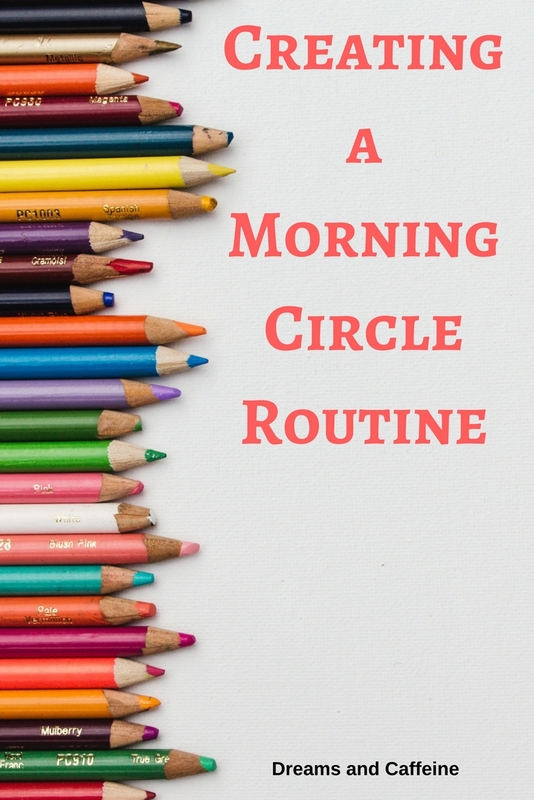 The great thing about Morning Circle Routines is how customizable they are. Give Pinterest a quick search and I am sure you will find something that fits your needs. I start our morning circle with stretches. Sometimes I just call out different types of movements (march in place, hop like a bunny, reach for the stars, etc.) or sometimes we do ABC Yoga. Just something to get the kiddos awake and focused. Then we sit down and move on to the Question of the Day. I try to keep these fun and creative. I like the questions to provoke thought and creativity. Example Question: What would you do if it started snowing pink snowflakes right now? Give your child a chance to explore the idea and be ready to nudge them forward if they get stuck. Now it’s onto the calendar portion. We decide which day of the month it is, what day of the week it is, and then we sing the Days of the Week song. We also figure out what day today is, what yesterday was, and what tomorrow will be. Next, we discuss the weather and season. We look outside and use words to describe the weather. 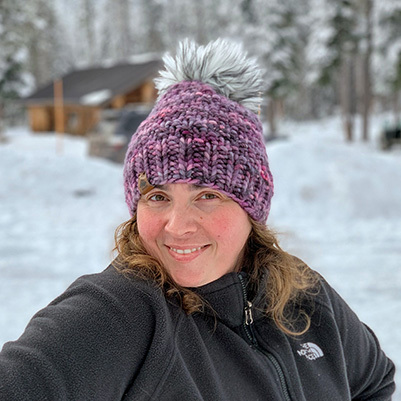 We include opening the front door and use words to describe how the weather feels… anything to get the kiddos connecting what they feel and see into words. During this portion, we also discuss the season that we are currently in and how we should dress for this type of weather or season. If you have the availability, it would be fun to include dolls and different types of clothes and ask the kiddos to dress the dolls so they could go outside in the weather. Another way would be to ask the kiddos to draw a picture of how someone should dress to go out in the weather. Just some ideas on how you can expand this section. Now it’s on to numbers!!! We count together as a group, which I vary from day to day. Sometimes we count 1-100 or 1 to a smaller number, count by twos or threes, etc. You can also have the kiddos decide which number they would like to count to you or you can also have kiddos volunteer to stand up and count on their own. There are lots of fun ways to mix this section up so that it’s not the same day after day. This is definitely one of the best parts of Morning Circle for my kiddos! I have a mason jar full of popsicle sticks with a song written on each popsicle stick. Each kiddo gets to pick from the jar to see which song we’ll sing. Usually, we do a few songs, because we love singing so much. I end morning circle with story time. I will try to pick out a book that will steer us toward the next activity, or one that represents something we’ll talk about on this day. Of course, if the kiddos have an additional story they’d love to read, I’m more than happy to do that as well. This creates a great transition for the next activity we are planning on doing. A Morning Circle is a great teaching tool for your little ones. It’s easy to adjust the setup to fit your child’s needs. Please be aware of your child’s age and ability to sit still as well as their interest level. Children learn best when the environment and material is age appropriate and when they are having fun. Be prepared to be flexible! 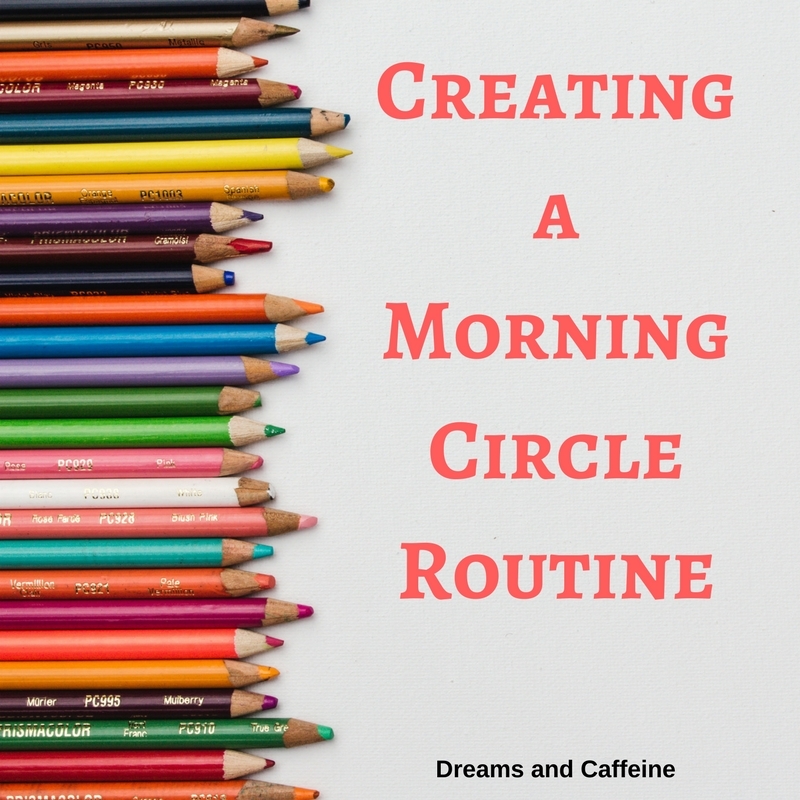 As always, I would love to hear how you setup your Morning Circle Routine and how it’s working for you. I would love it even more if you shared pictures. Happy Rocking Motherhood Monday my friends! 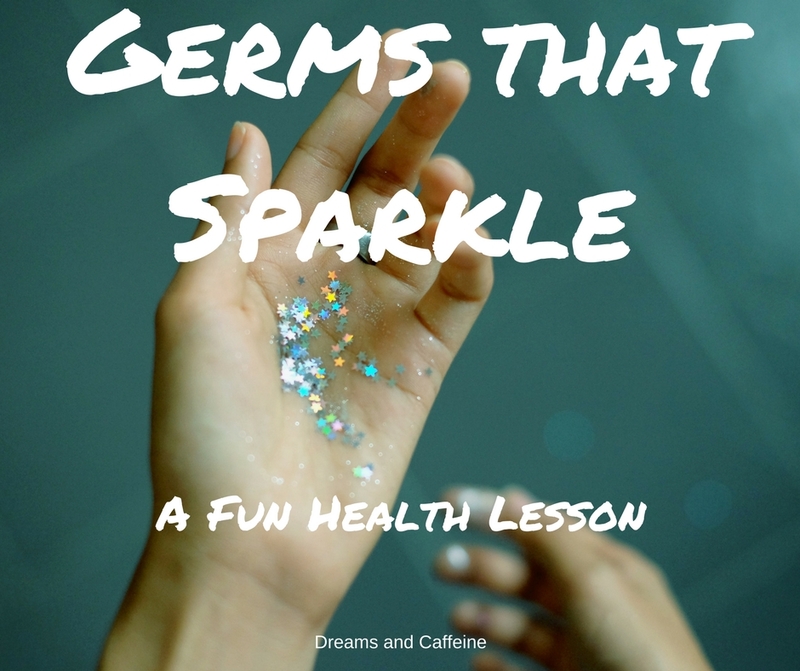 Happy Monday my friends, and welcome to Germs that Sparkle… a fun lesson in health! I know it’s been a little while since my last post, but the sunshine was calling and I just couldn’t bring myself to sit down and adult! So, I decided a little break would do my soul some good, but now I’m back. Rocking Motherhood Mondays are educational lessons for little ones that can be taught at home or in the classroom. 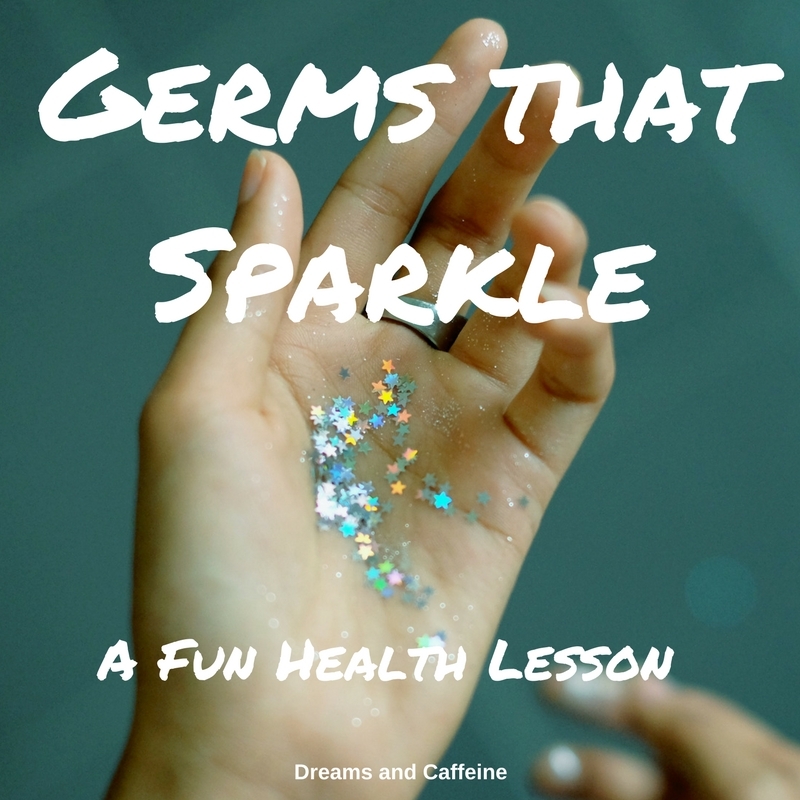 Since a new school year is upon us, I decided it is the perfect time to do a fun little lesson about germs and the importance of washing our hands. In this lesson, I will demonstrate how germs are spread and how to properly wash our hands to make sure we don’t have germs on them. I realize some of these items might seem a little icky to do a lesson about, but I promise it’s fun. Fill each container with warm water and put them about six inches apart. Place the hand soap next to the first container of warm water and then put the hand towel on the side of the other container. You now have a hand washing station ready to use! You will want to begin the lesson by talking to the child about germs. Discuss what germs are and what they do to our bodies. You will also want to talk about how germs are transferred/shared with others (coughing, sneezing, using the restroom, etc.). CAUTION: please be aware of the age group you are working with… you do not want to scare anyone! If you are working with young children, keep it simple. If you are working with older children able to comprehend the topic better, go more in-depth. Now it’s time to get hands-on! Have the child stand up and have them fake sneeze into their hands. Then take the sanitizer and put a quarter-sized drop in the child’s hand. Now put a pinch of glitter right on top of the hand sanitizer. 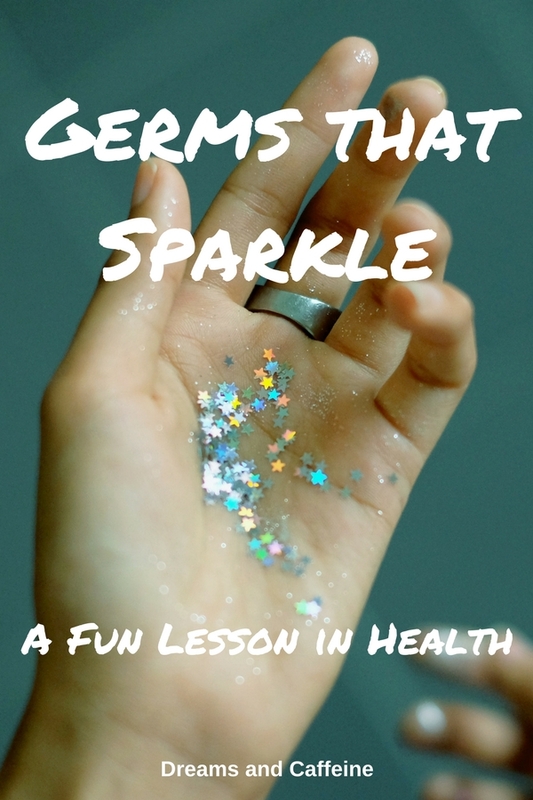 Explain to the child that the glitter represents “germs” from when they sneezed. Next, have them rub the glitter and hand sanitizer all over their hands. At this point, have the child shake hands with you or rub their hands on yours. Show them that the germs have transferred to your hands as well. If you’re brave, you can have them wipe their hands on a counter or something else that shows the spread. Again, this is a great opportunity to explain and demonstrate how germs spread by having the child touch things or people before washing their hands. They will be able to see the glitter that represents germs that we cannot see. Now ask how we can prevent spreading germs. Allow time for the child to give suggestions. This is an opportunity to discuss using a Kleenex or coughing/sneezing into your arm as well as the importance of washing our hands to prevent spreading germs. Scrub entire hand (front, back, between fingers, under nails) for a minimum of twenty seconds. I recommend having the child sing Twinkle, Twinkle Little Star or some other song that will give the time needed to properly wash hands. Rinse hands thoroughly in clean running water. Dry your hands with a clean towel or allow them to air dry. Now have them head over to the hand washing station to practice washing the “germs” off their hands. We had such a great time with this lesson. I feel it really drives home the idea of germs and how they are spread, as well as the importance and how to properly wash your hands. I would love to hear how this lesson went for you, so please feel free to comment below. Happy Monday! Welcome to another Rocking Motherhood Monday! 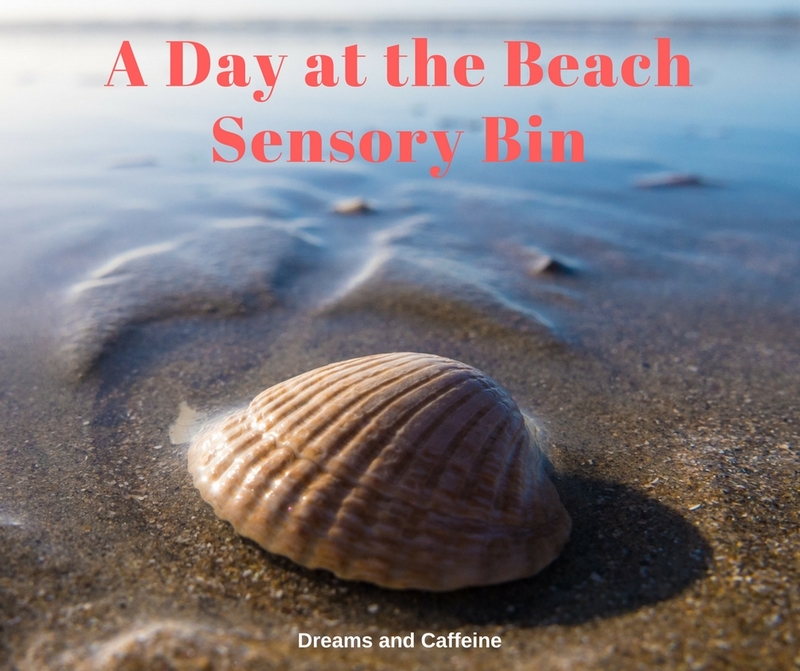 I am so excited to be sharing what I call “A Day at the Beach Sensory Bin!” If your kiddos are anything like mine, they love anything that has water, animals, and sand. Mix that with a little sunshine, which we have recently experienced, and you have the perfect day for this sensory bin! As an educator, I think it is important to teach each lesson in a variety of ways, since children learn in different ways and at different rates. For this reason, I absolutely love sensory bins. 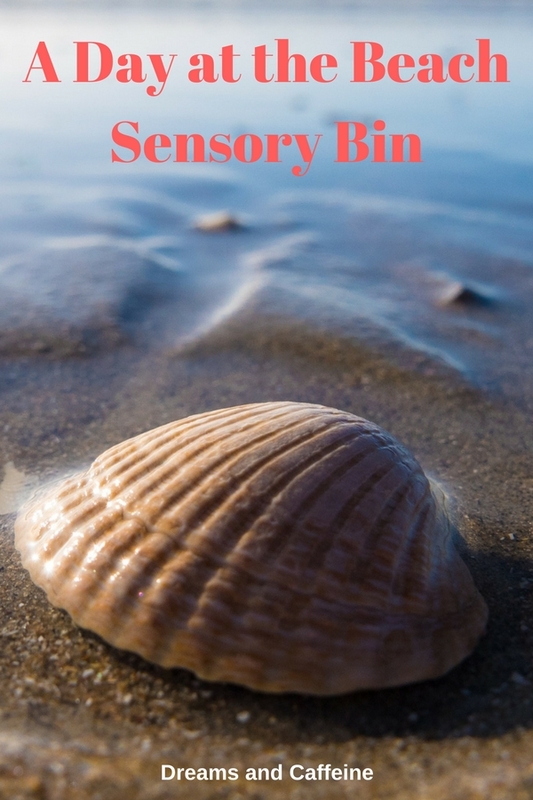 A sensory bin is exactly what it sounds like… a bin filled with objects that allows your child to have a tactile experience. A sensory bin is a great way to help develop a child’s language, expand their imagination, or increase literacy through story telling. In general, a sensory bin is a wonderful tool to allow the child to explore, interact, and be part of the learning process. 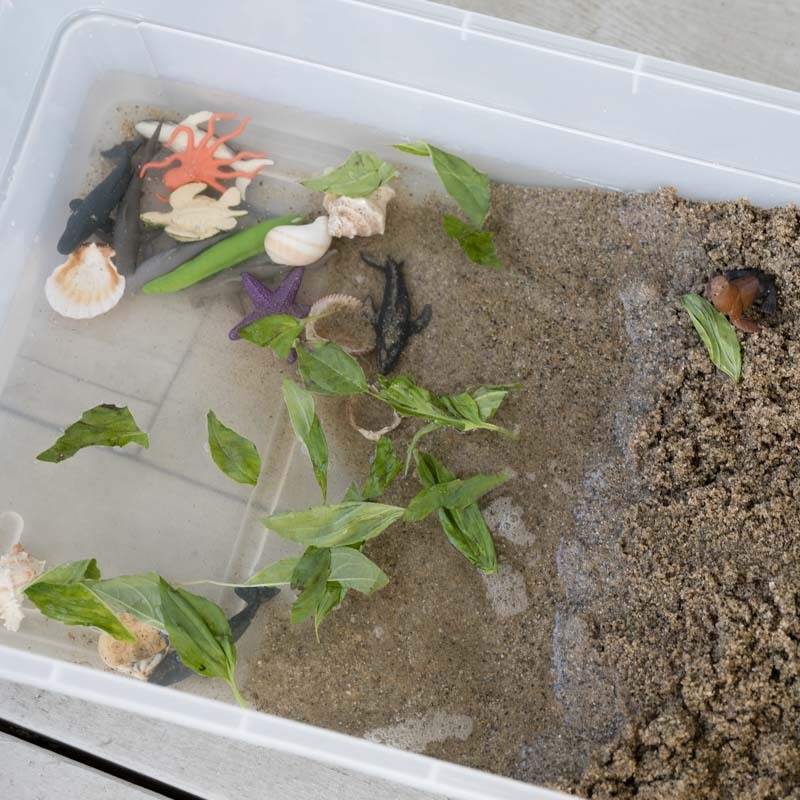 The goal of this lesson was to learn about the beach and the creatures that live in the ocean. I also wanted to discuss activities that can be done while at the beach. Here are some questions to get you started… remember, though these will get you started, the learning and fun really is endless with this activity. 1. What kinds of animals live in the ocean? Allow them time to shift through the water to find the different animals and name them. I also took it one step further and talked about each animal that she found. 2. What kind of things can you do at the beach? We talked about flying kites and what makes kites fly, running in the sand, playing with a beach ball, building a sandcastle, looking for buried treasure, swimming… the list goes on and on. I also made sure to discuss beach safety and how important it is to never turn your back on the water. 3. Comparison of the different shells in the sensory bin. We looked at the color, shape, and size of each shell and then we talked about which ones were the same and which ones were different. We also counted the shells. I will warn you if you decide to do this activity that there will be tears when is it time to clean up. I had two hysterical children because I eventually poured out their ocean! All in all this activity was such a fun experience for both of my kiddos! 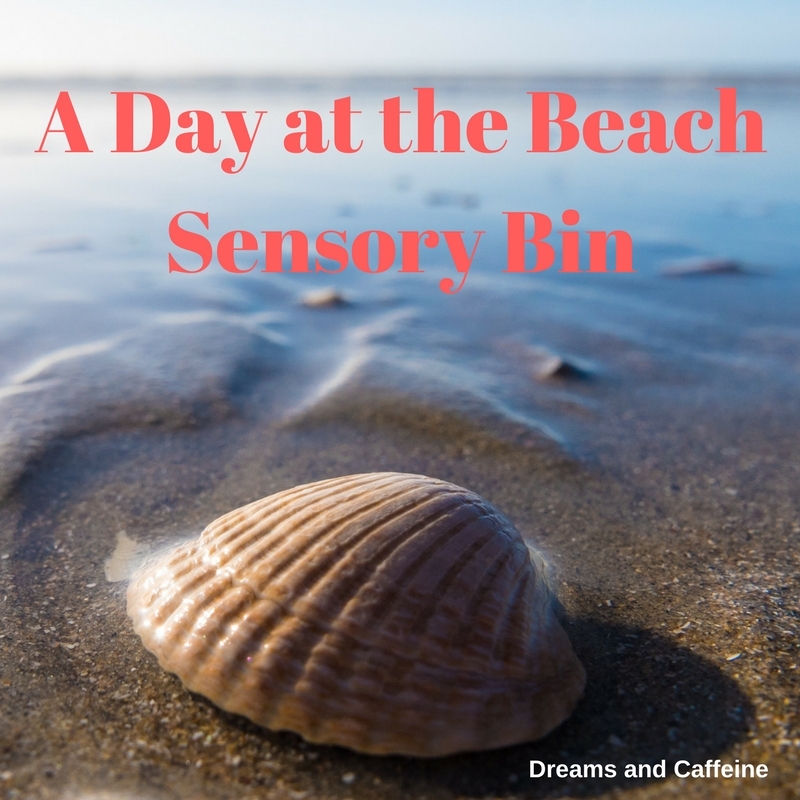 A Day at the Beach Sensory Bin has already been requested for tomorrow’s agenda! I hope you have enjoyed today’s Rocking Motherhood Monday activity. If you are looking for more hands-on activities, please be sure to check out my Story Rocks Tutorial or venture over to Living Montessori Now with Deb to check out some of her great educational activities! This Unicorn Kisses Jar is the perfect topic to kick off Monday morning! It just screams fun… and who doesn’t need some extra fun on Monday?! My last few Rocking Motherhood Mondays have focused on learning activities to do with your little ones, so I decided this Monday I would talk about guiding our littles ones’ behaviors with positive discipline. 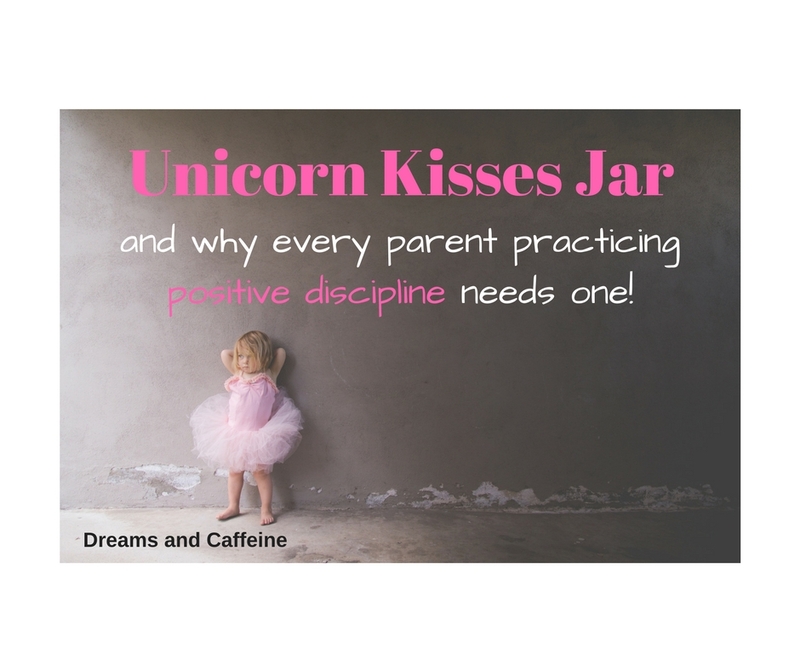 Before getting into the details of the Unicorn Kisses Jar, I thought it was important to clarify what positive discipline is and how we can practice it with our children. “Positive Discipline is a program developed by Dr. Jane Nelsen. It is based on the work of Alfred Adler and Rudolf Dreikurs and designed to teach young people to become responsible, respectful and resourceful members of their communities. Positive Discipline teaches important social and life skills in a manner that is deeply respectful and encouraging for both children and adults (including parents, teachers, childcare providers, youth workers, and others). Recent research tells us that children are hardwired from birth to connect with others, and that children who feel a sense of connection to their community, family, and school are less likely to misbehave. To be successful, contributing members of their community, children must learn necessary social and life skills. 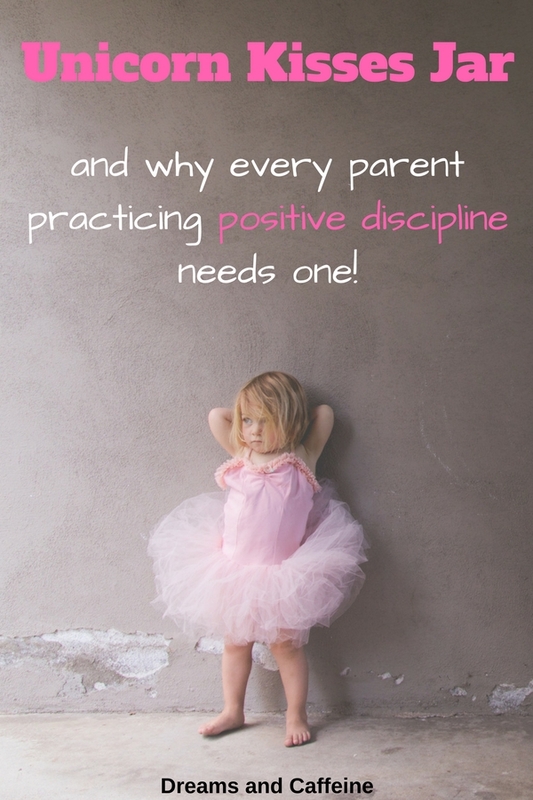 Positive Discipline is based on the understanding that discipline must be taught and that discipline teaches,” (https://www.positivediscipline.com/about-positive-discipline). What is a Unicorn Kisses Jar? With Miss Sassy Pants getting older, we decided it was time to start working on guiding her behaviors in a positive way. We wanted to teach her to be accountable for her behavior and the consequences associated with that behavior. We decided a behavior jar was the perfect option for her age. 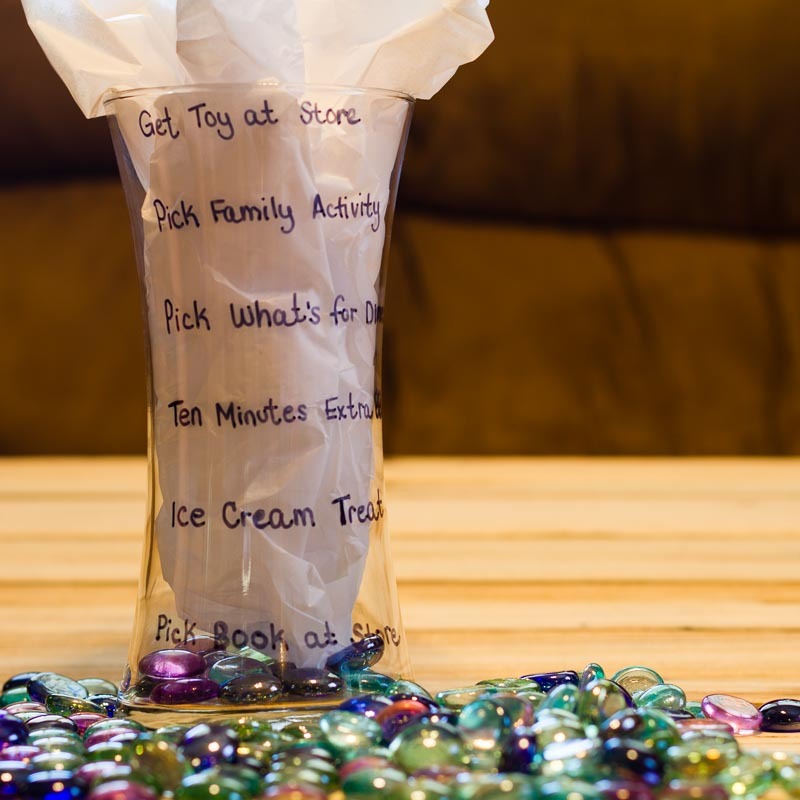 Generally, you fill a “behavior jar” as you catch your child behaving as desired. Though my kiddo would think this alone was fun, we decided to take it one step further to really encourage and help her connect with the concept (her age is a huge factor). Hence, the Unicorn Kisses Jar was born! Our kiddo is obsessed with unicorns, pink, and anything pretend. Her imagination sees no limits. 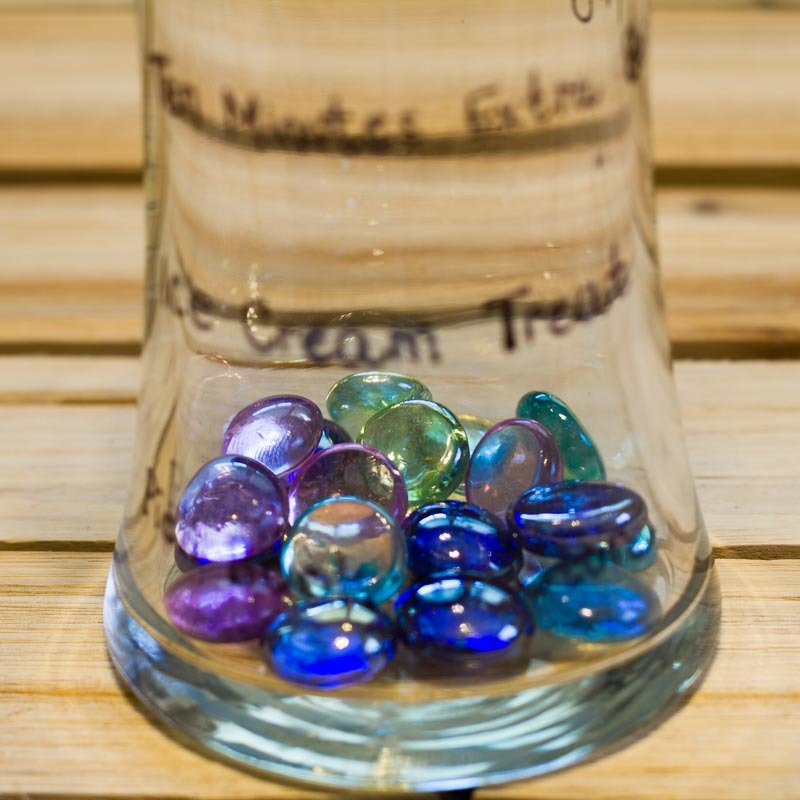 Instead of a simple jar that we track her behavior with, we decided to get a jar with pretty glass stones and call them “unicorn kisses.” We then discussed how she could earn unicorn kisses. We did keep it simple because of her age, but we still covered the basics. Right from wrong, using our words, keeping our hands to ourselves, being kind to others (and what that means… using examples), and following directions. We also discussed how her dad and I model these behaviors, and that if she had questions or needed help, to ask us. Again, this is really where you need to personalize this for your child. Customize the jar to something your child likes or enjoys. Unicorn kisses work for Miss Sassy Pants, but I feel that might not be the case for all kiddos. Give the unicorn kiss immediately after the desired behavior is demonstrated. 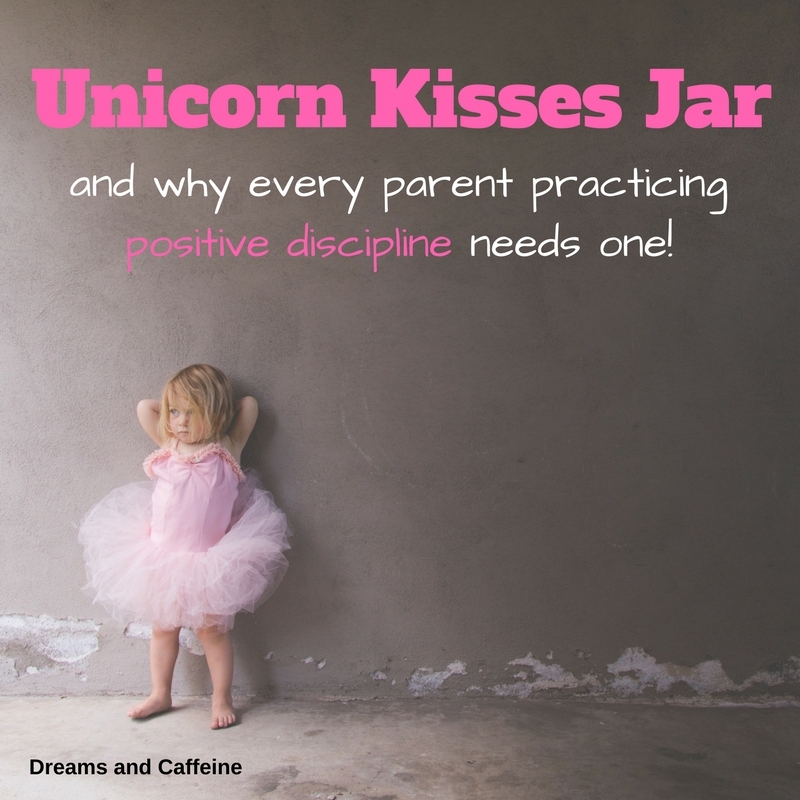 Allow your child to pick out the unicorn kiss and put it in the behavior jar. 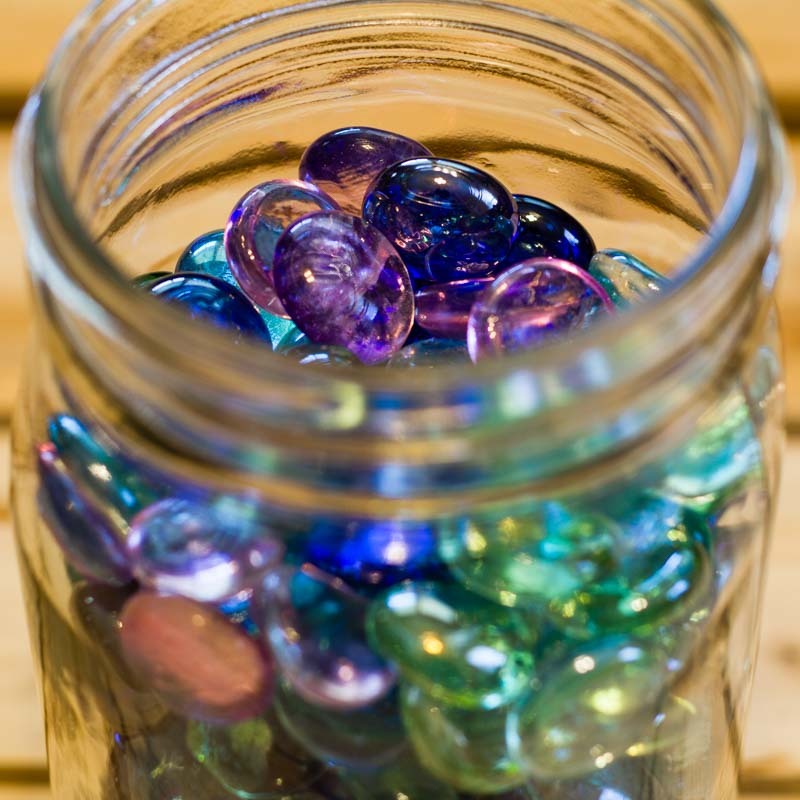 Don’t take away stones for bad behavior… positive jar for positive behaviors. Be a cheerleader for your kiddo! I hope you liked today’s installment of Rocking Motherhood Mondays! We have had great success with it and wanted to share the idea to help other parents and educators. Please feel free to leave a comment below!